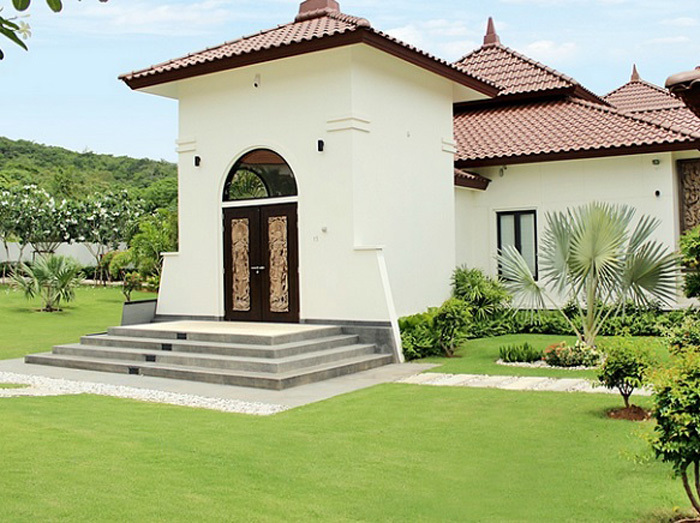 Prices vary depending on the size of land as well as the size of the home. 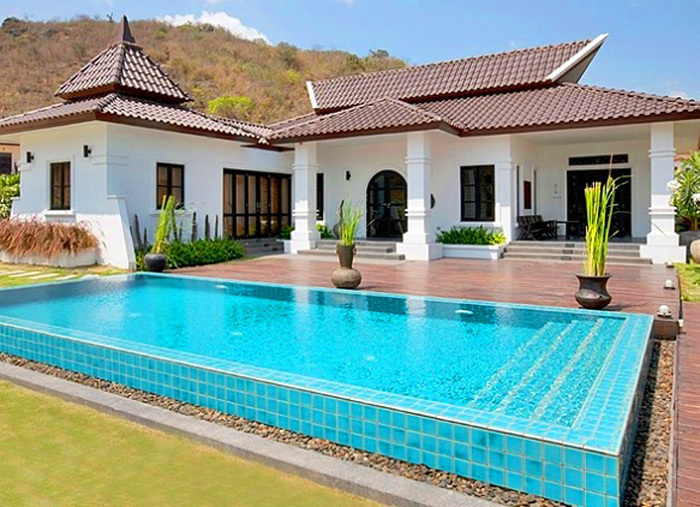 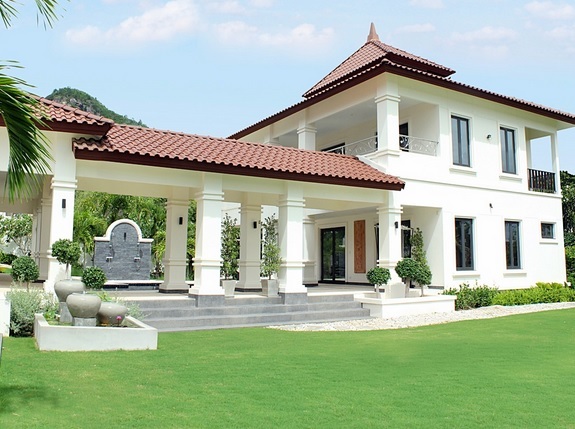 Building a 3 bed family home on a plot of about 800 square meters for approximately 10 Million Thai Baht or build a luxury estate on 1 Rai of land (1,600 square meters) for approximately 25 Million Thai Baht. 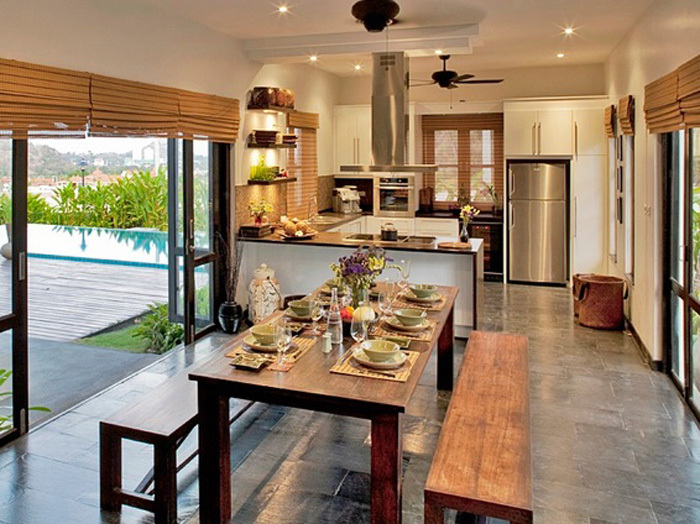 Villa Suriya is the Balinese word for “Sun”, Representing vibrant Sun decked terraces in a tropical setting. 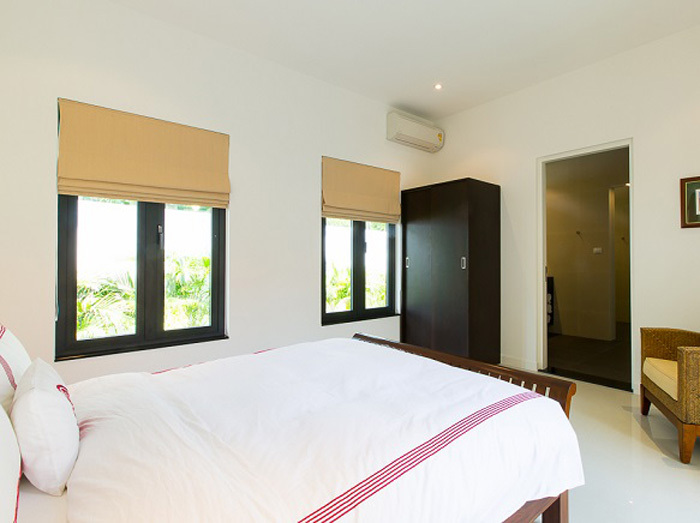 These generous sized two bedroom villas come with 154 square metres of living space and a private or shared lagoon style swimming pool. 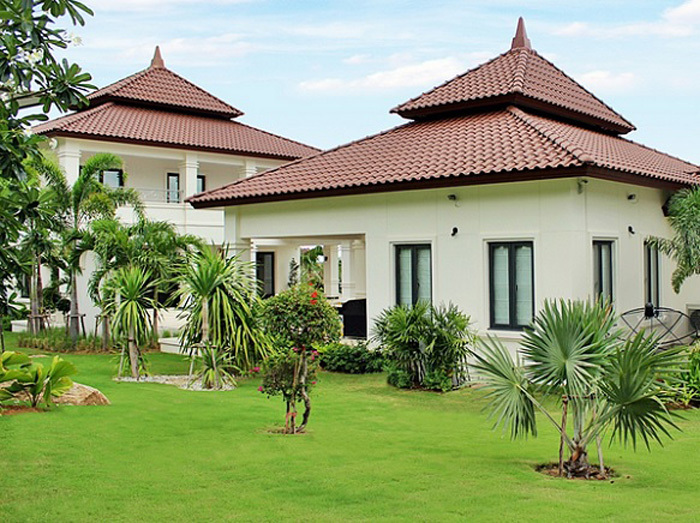 The villas are tastefully designed to a high standard in modern Asian style with a spacious terrace, outdoor shower, fitted kitchen and work place. 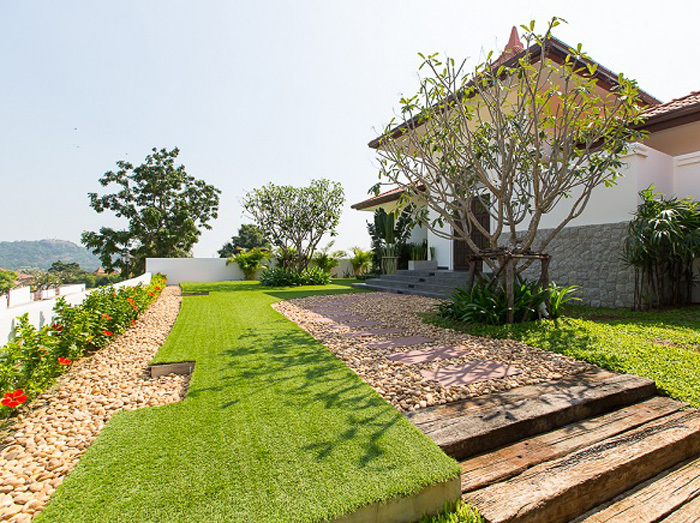 Situated on a beautiful stretch of land just past Soi 112 in southern Hua Hin, you are surrounded by nature and tranquility. 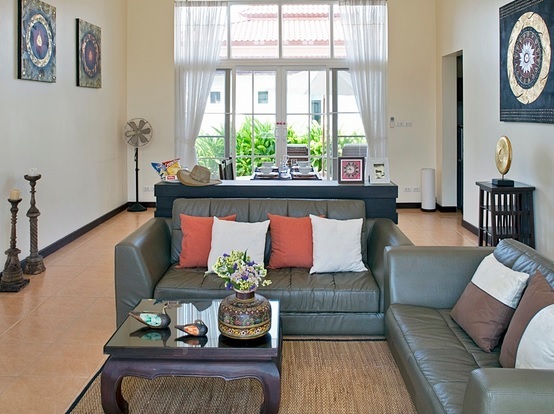 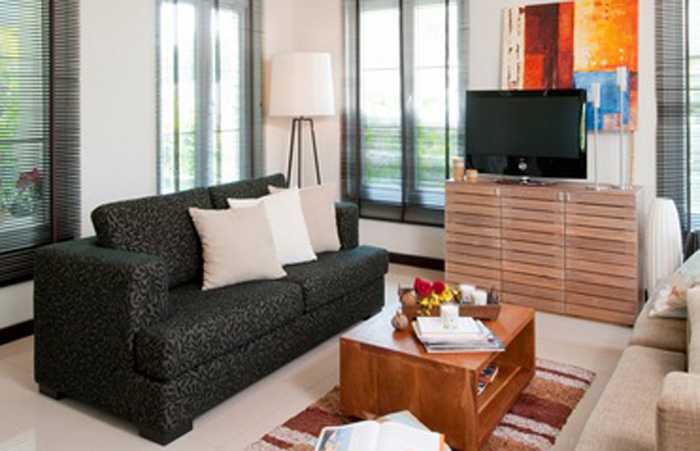 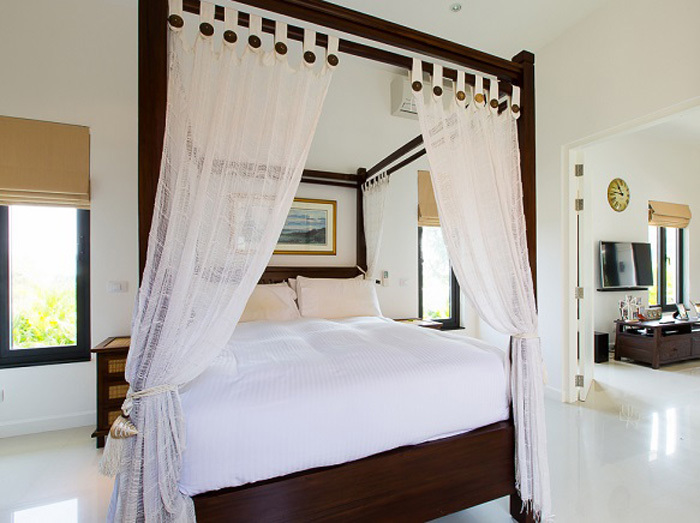 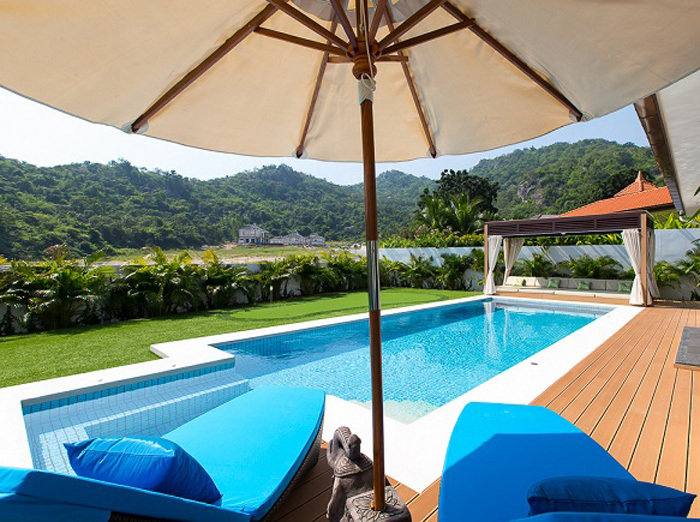 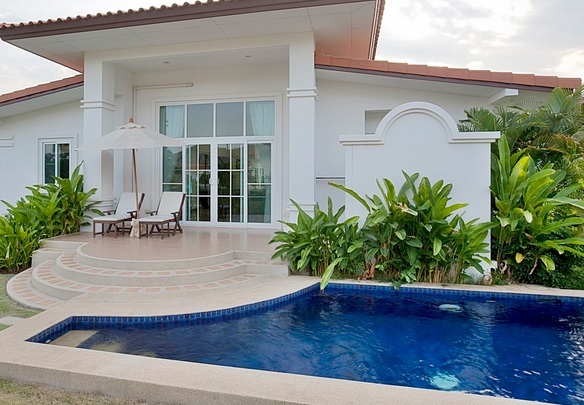 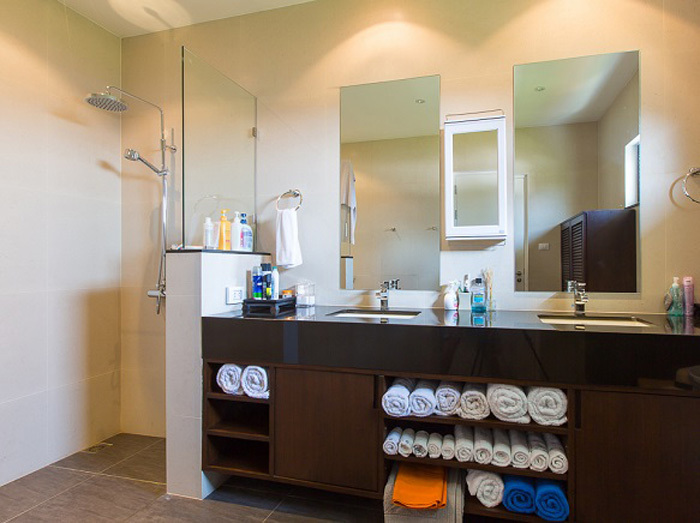 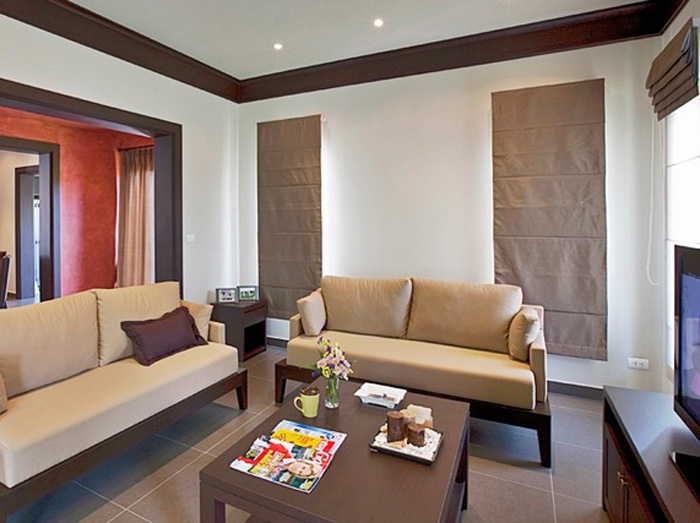 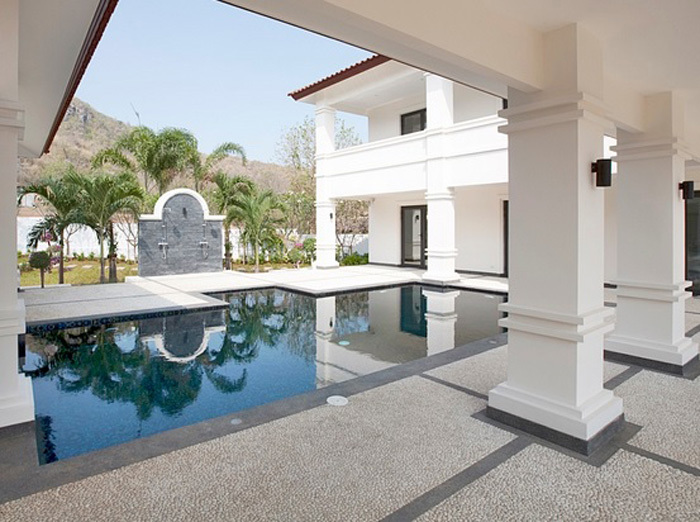 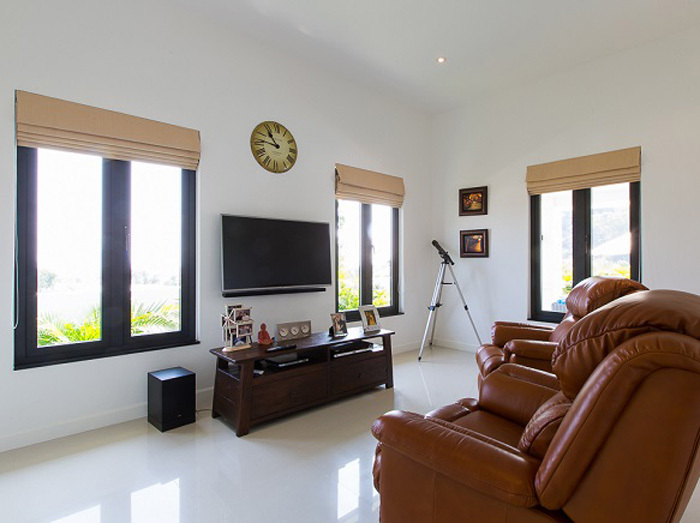 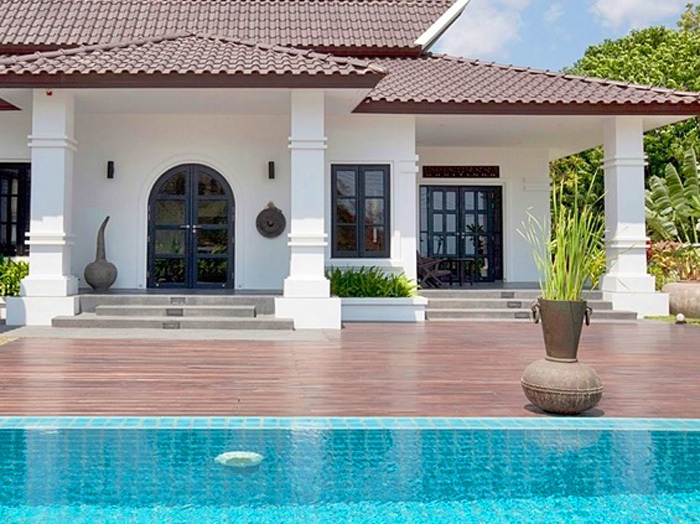 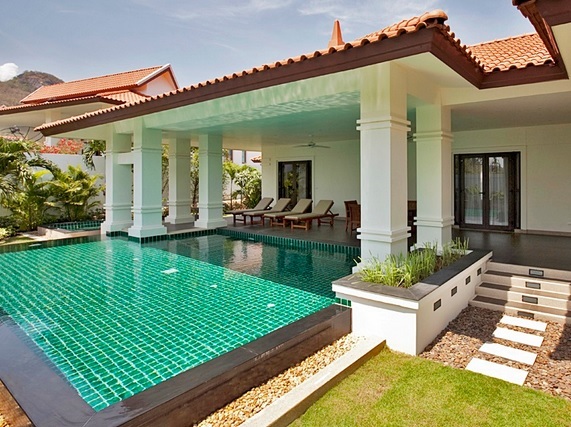 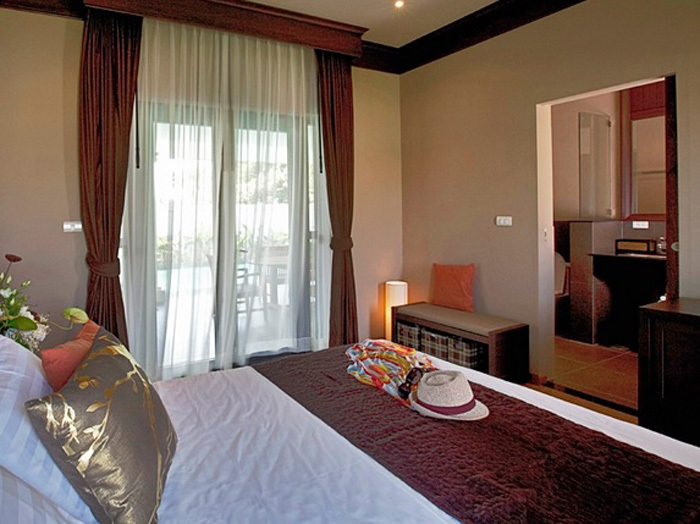 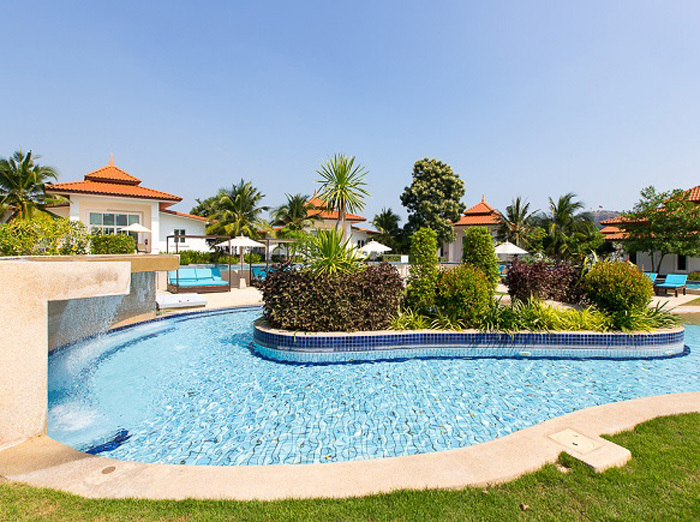 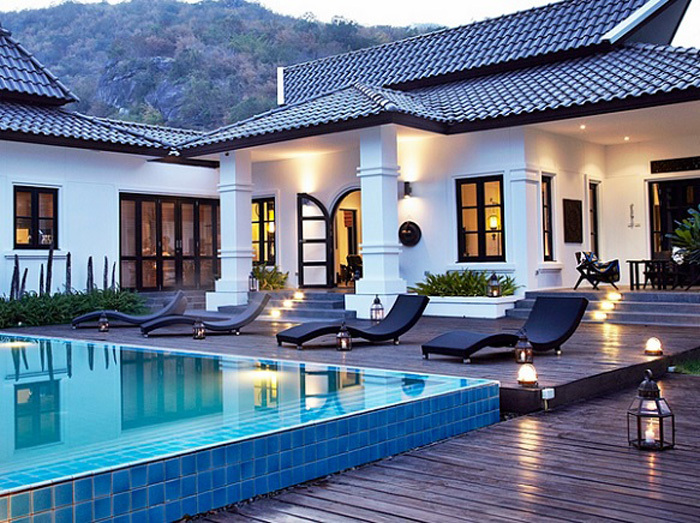 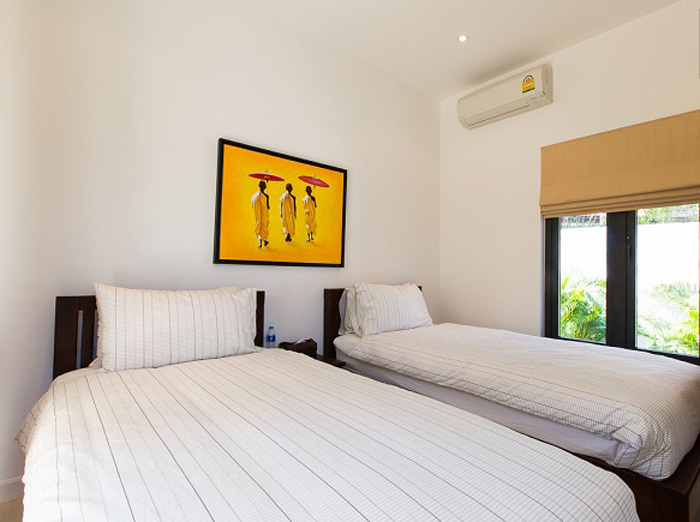 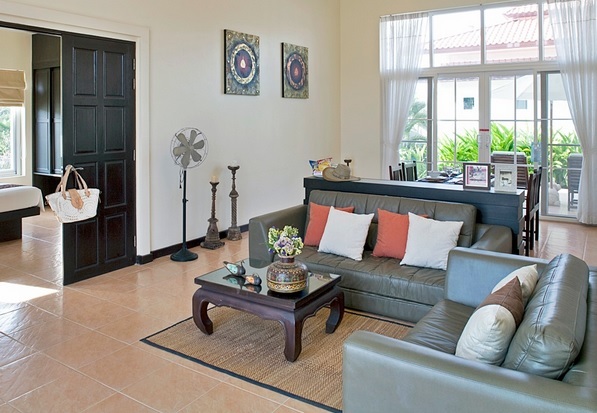 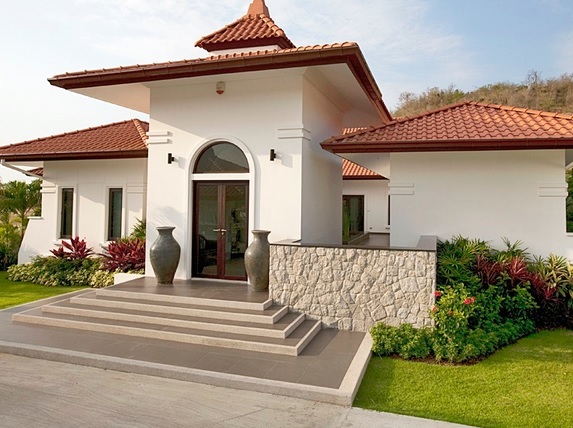 Villa Suriya and Banyan Residences Hua Hin offers a world class resort on the premises, where they cater for both local and international visitors and offer top quality service. 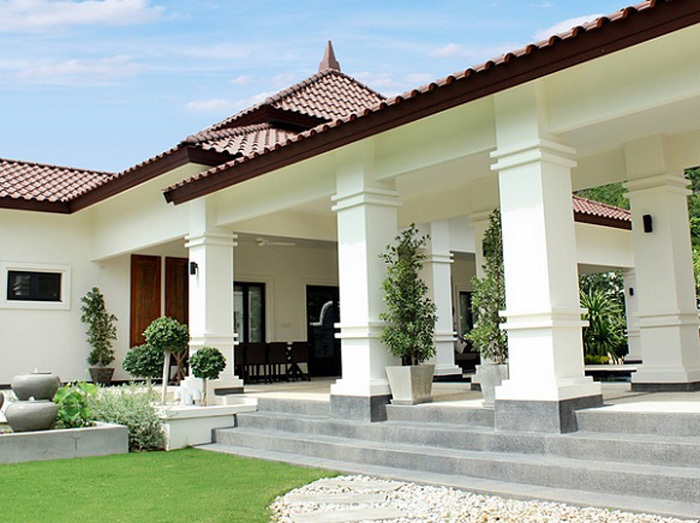 Villa Angkasa is the Balinese name for “Sky”, representing openness, outdoor and sky. 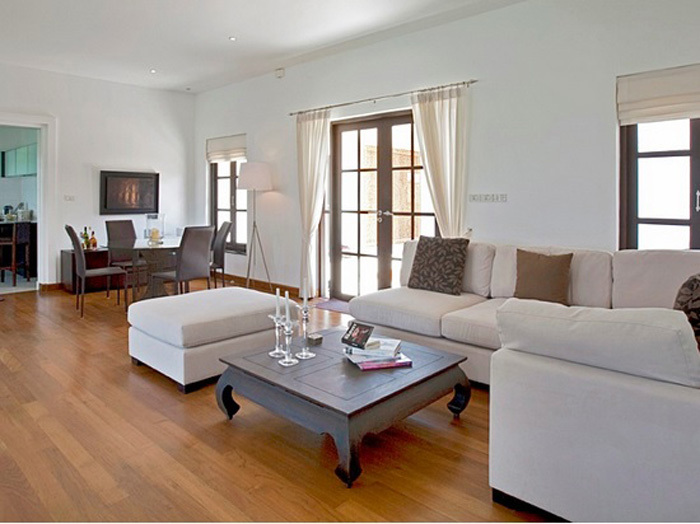 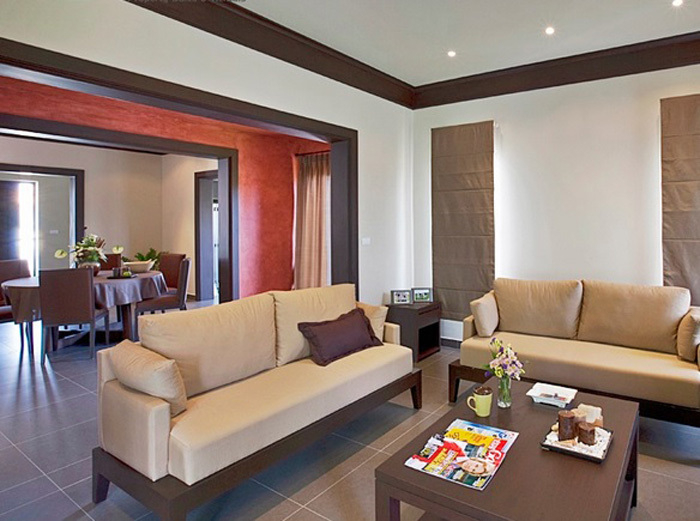 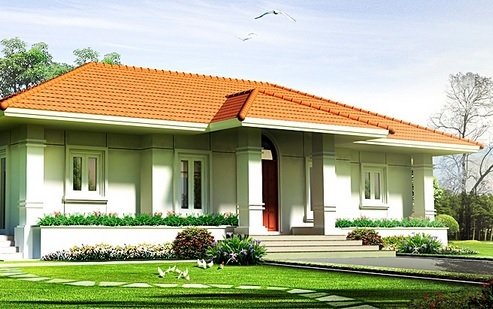 The villa is a tasteful, one story home with generous 615 to 1092 square metre plots. 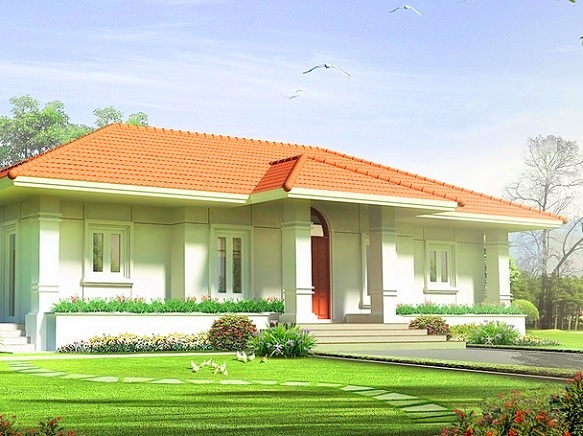 The villa comprises of 169 square metres of living space, intelligently designed to maximize comfort, style and functionality. 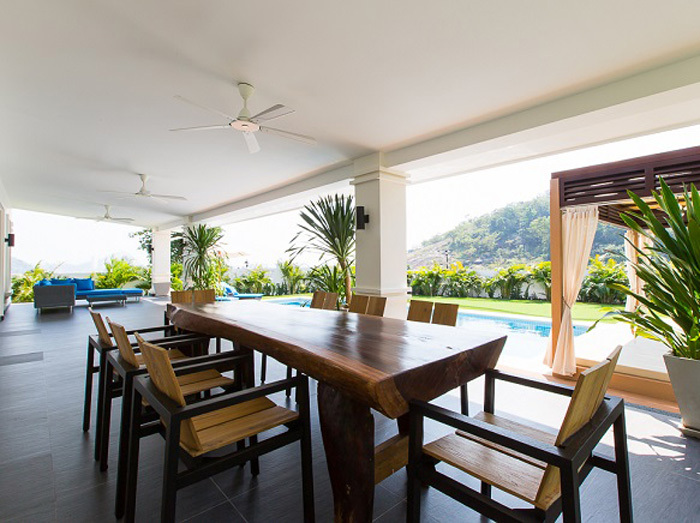 The villa has three bedrooms, two bathrooms, an open kitchen, lounge and an expansive outdoor terrace with a great view over the private infinity pool. Situated on a beautiful stretch of land just past Soi 112 in southern Hua Hin, you are surrounded by nature and tranquility. 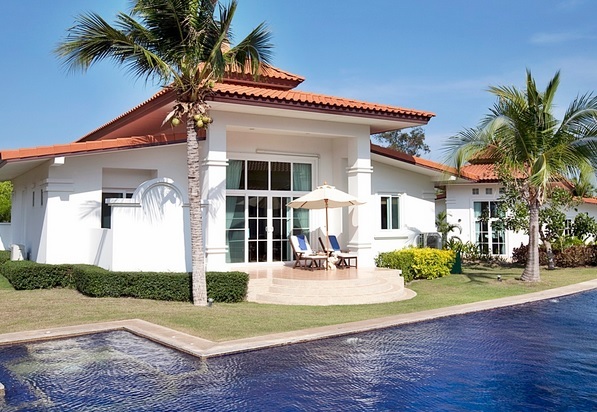 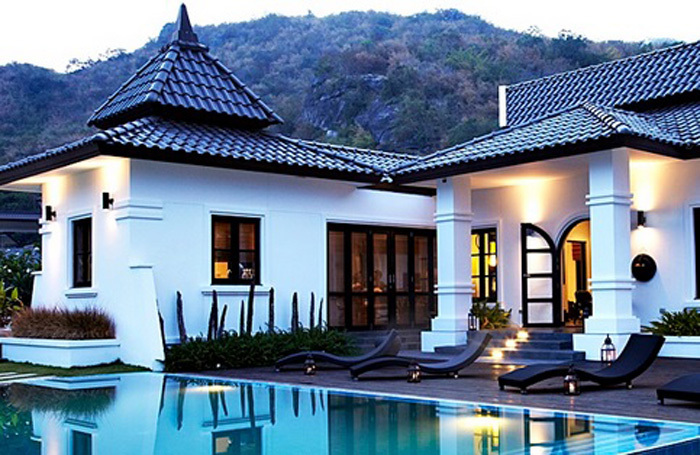 Villa Angkasa and Banyan Residences Hua Hin offers a world class resort on the premises, where they cater for both local and international visitors and offer top quality service. 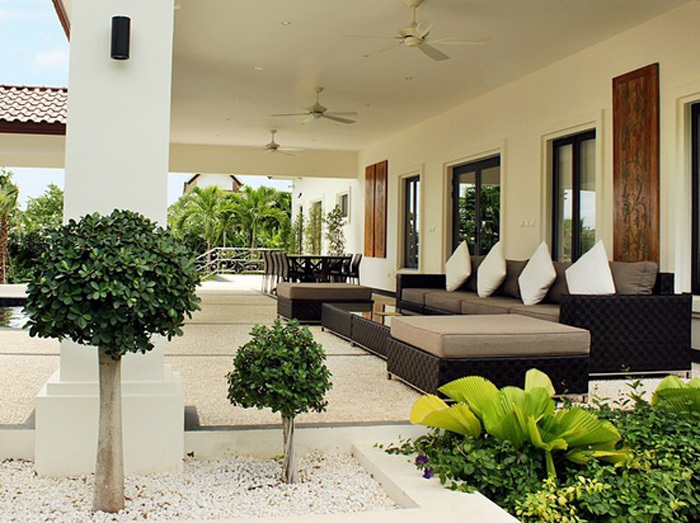 Villa Bayu is the Balinese word for “Wind”, symbolizing outdoor living. 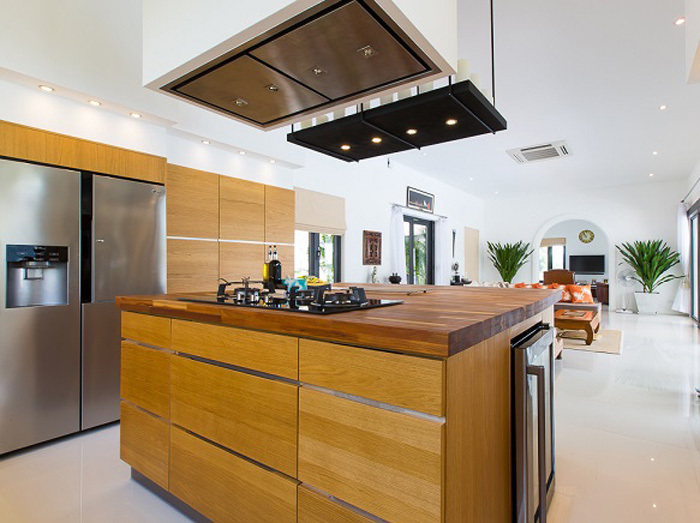 ensuring privacy as well as great perspectives from all angles. 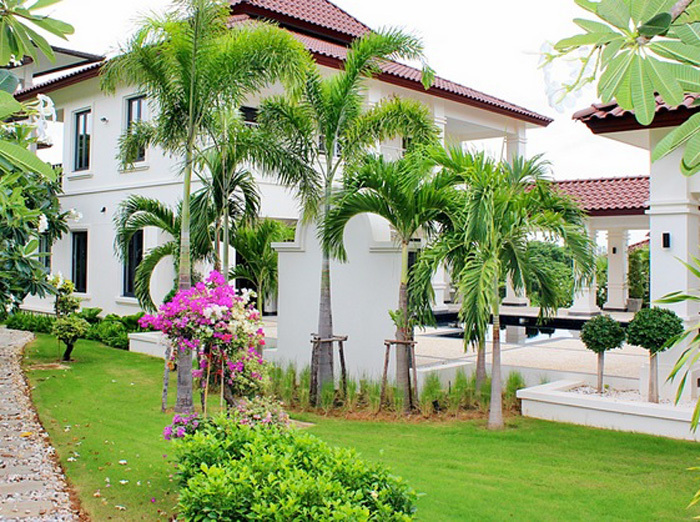 terraces allowing life in the tropics to be enjoyed to the fullest. 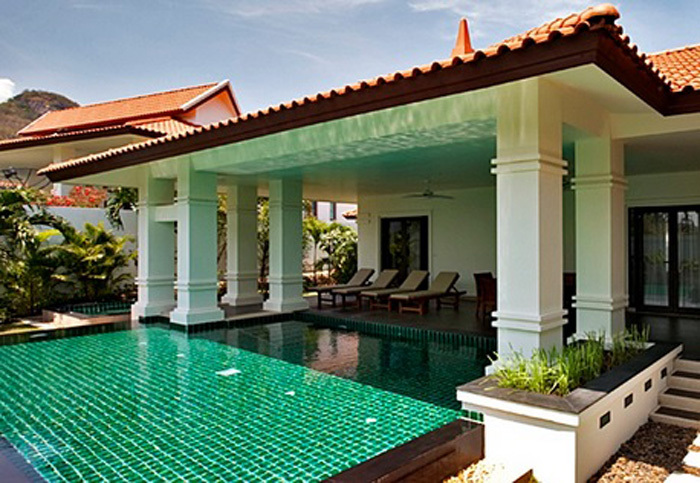 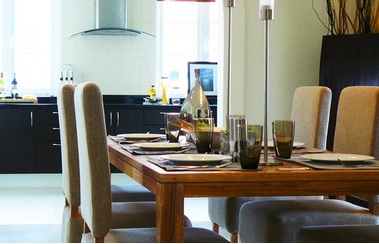 they cater for both local and international visitors and offer top quality service. 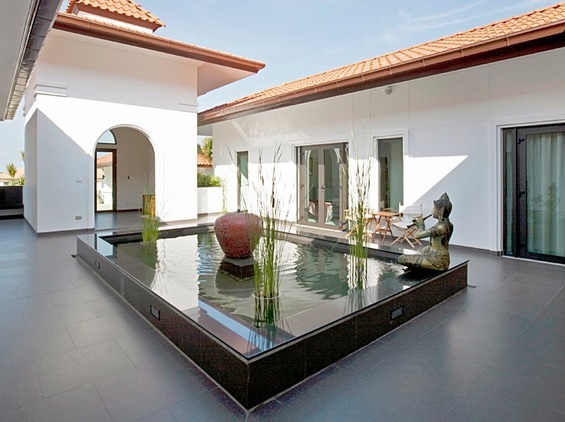 Villa Benua refers to “Continent” in Balinese, representing South East Asian design and style. 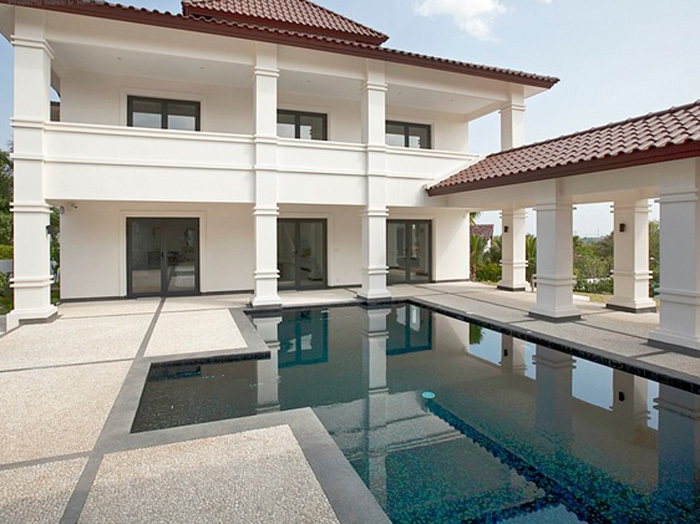 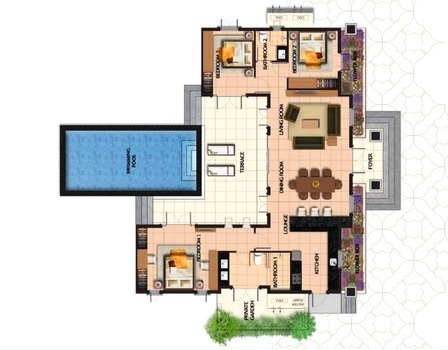 This villa is a tasteful one story home which occupies generous 711 to 1,038 square metre plots. 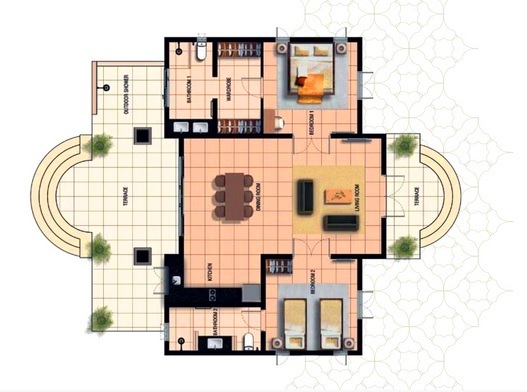 The carefully considered contemporary design provides 196 square metres of living area, excluding car port and swimming pool. 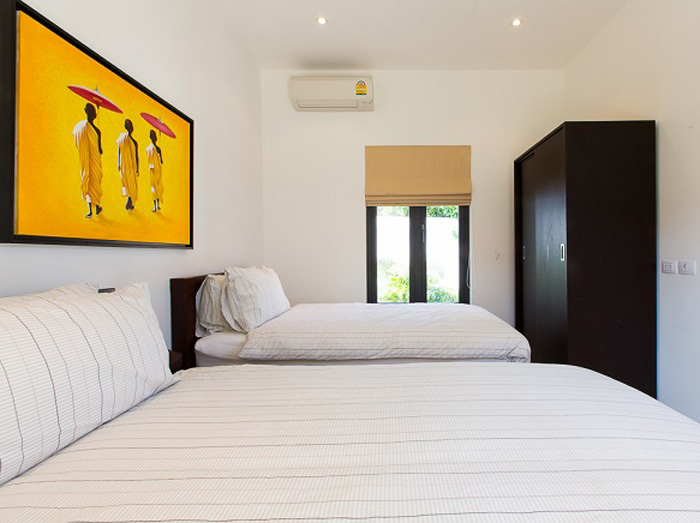 The home features two bedrooms, two bathrooms, space for a walk in closet, a separate guest toilet, an outdoor shower, lots of storage space, a car port and an expansive terrace with a great view over the private infinity pool. 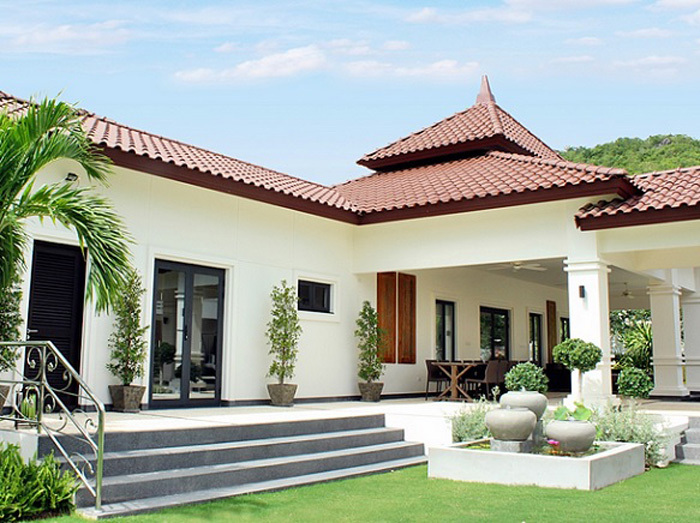 Situated on a beautiful stretch of land just past Soi 112 in southern Hua Hin, you are surrounded by nature and tranquility. 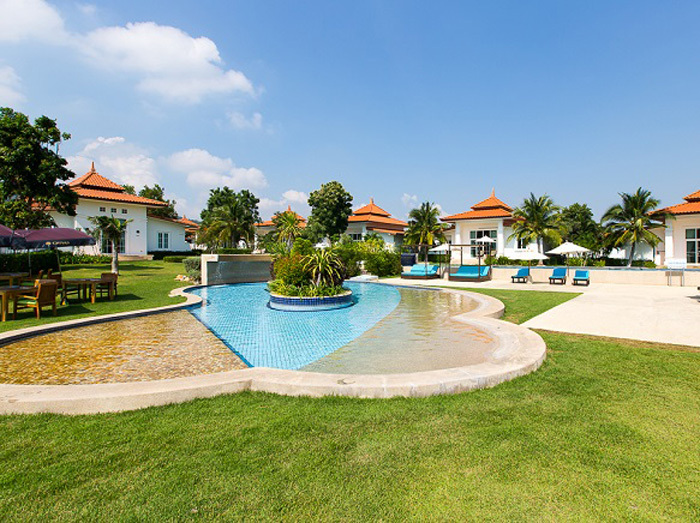 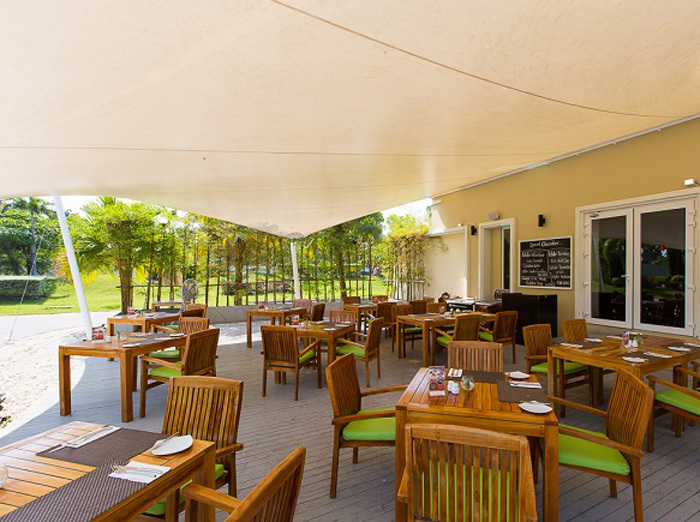 Villa Bayu and Banyan Residences Hua Hin offers a world class resort on the premises, where they cater for both local and international visitors and offer top quality service. 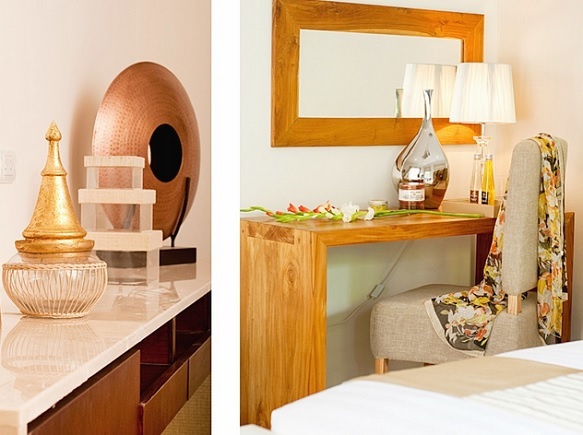 Kemala is a Balinese word meaning "Magic Stone", and represents a unique place to live your life. 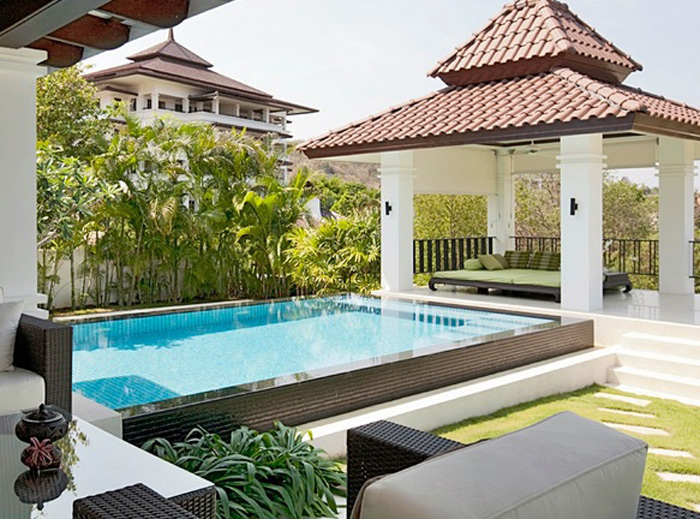 Designed for a comfortable life in the tropics, this villa draws upon Balinese influences and Southeast Asia architectural traditions yet incorporates all the contemporary features necessary for life in the 21st century. 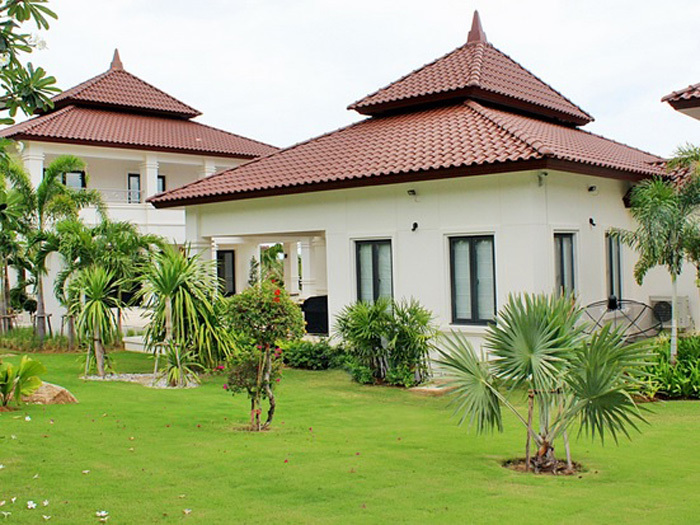 Villa Tanah is the Balinese word for “soil”, representing the richness of the land this villa occupies. 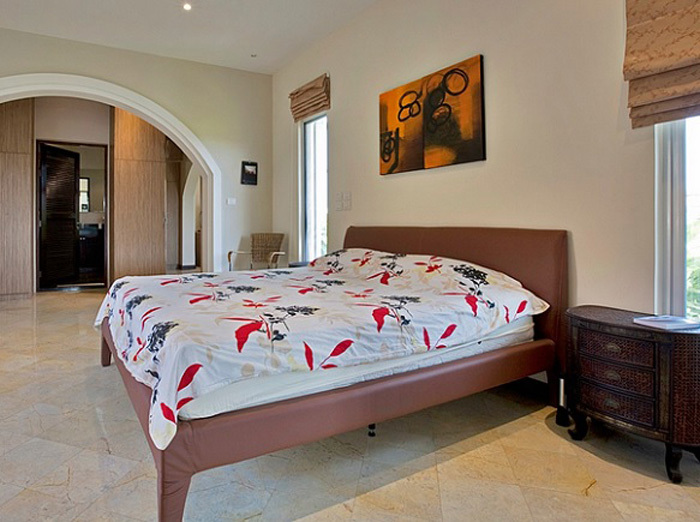 Villa Tanah features a living area separate from the sleeping area by a beautiful, integrated swimming pool. 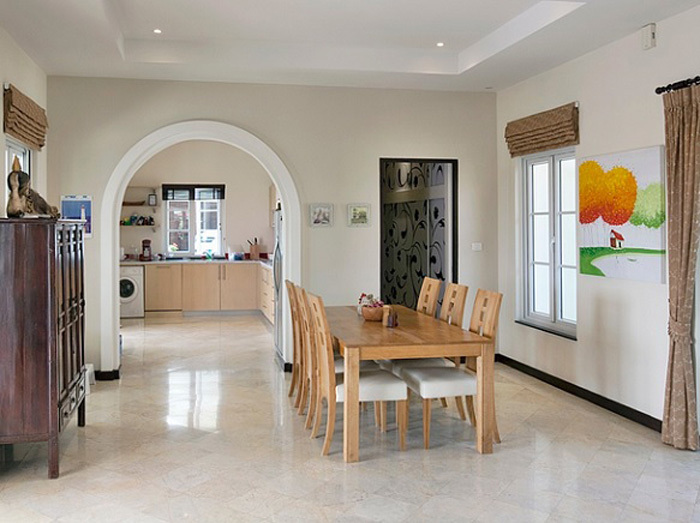 Private and secluded, the stylish homes include a living and dining room, en-suite bathrooms, kitchen and storage area a multipurpose room that can be utilized as a study or fourth bedroom, a tasteful foyer and an expansive terrace. 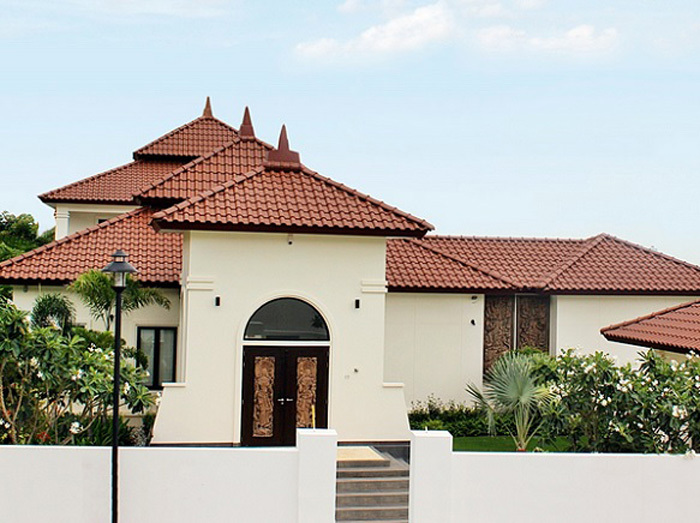 The villa comprises 492 square metres of living space, excluding car port and pool on a spacious 1,767 to 3,986 square meter plots. 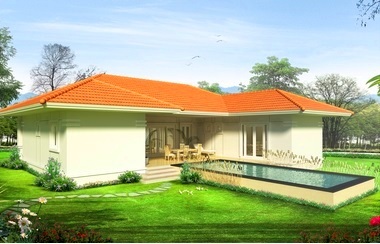 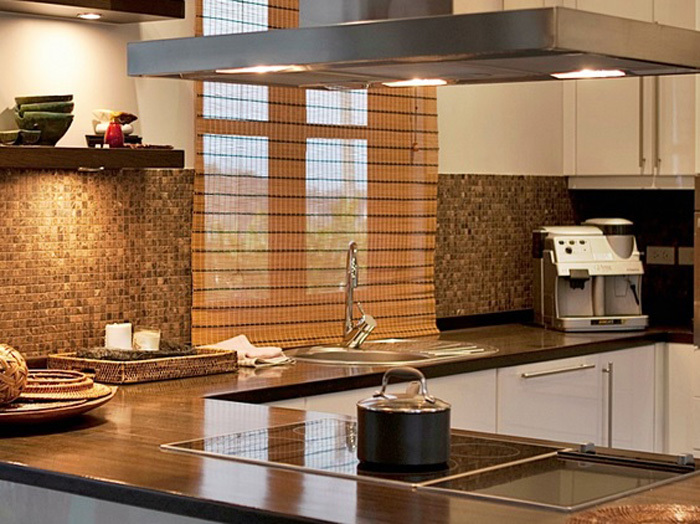 The eye catching design and outside living functionality incorporates a true ‘nature life style’.